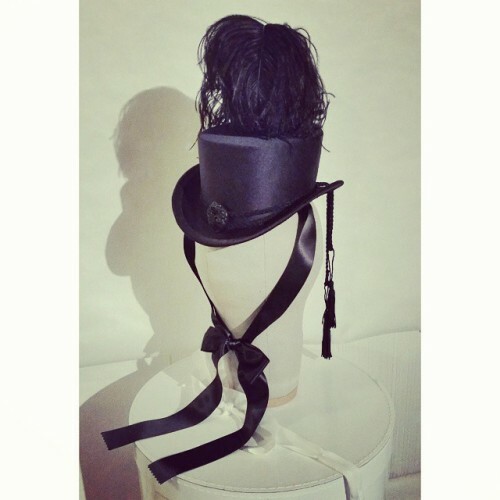 Apatico - Harnesses & Adornments - Seattle Fashion Blog – Tagged "minihat"
Latest #ghostship #hat made for a special customer. 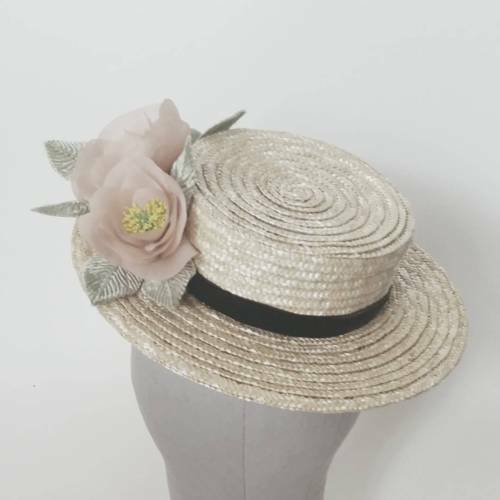 Close up of this straw hat for @samanthareiofficial for her ss2016 collection, part of #fwmn and #larkmn - sewed all that straw by hand, and made the camellia flowers and leaves with vintage floral stamens. 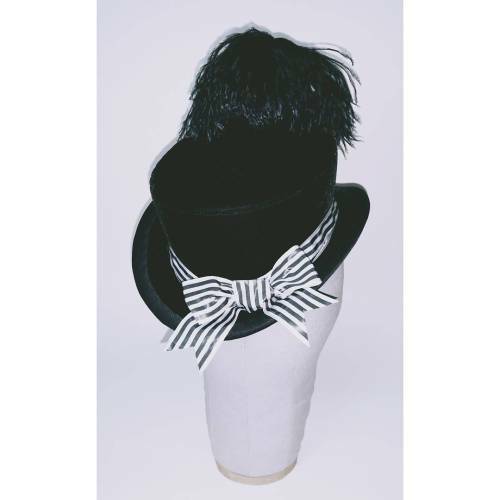 Velvet mini hat with striped taffeta ribbon band. 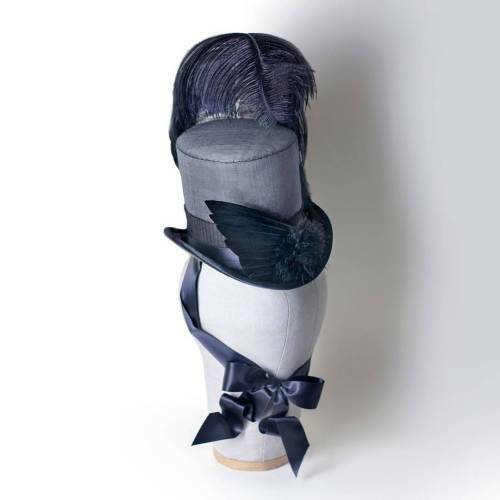 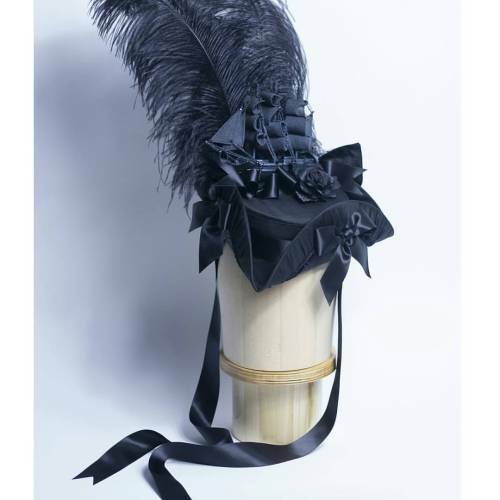 New all black Victorian mourning-inspired mini riding hat in duchesse satin with braid trims, tassels, and jet button.